Declared by UNESCO as the World Heritage Site, Mahabalipuram is a great place to visit. It is a town in the Kancheepuram district of Tamil Nadu. Located at an elevation of 12 m, Mahabalipuram was the second capital of the Pallava kings of Kanchipuram. It is a beautiful sea-side village situated at a distance of 60 m from the capital city of Chennai. Mahabalipuram has earned international fame because of its architectural marvels which attract tourists from far and wide. The open air bas-relief, beautifully carved temples, man-made caves and monolithic Rathas (chariots carved from single boulders). Most of the the architectural establishments are rock-cut and monolithic, and belong to the period between the 7th and the 9th century. Arjuna's Penance - Praising the Great Hindu Epic Mahabharata, Arjuna's Penance is a wonderful relief sculpture. Varaha Cave Temple- A beautiful rock-cut temple built in the 7th century. The Shore Temple- Ideally located on the Bay of Bengal, the Shore temple is a structural (of or pertaining to geological structure, of rock or strata.) temple. It is truly a mesmerizing structure. Thirukadalmalli Temple - Famous for its architectural beauty, it is a temple dedicated to Lord Vishnu. It was built by the Pallava king to conserve the sculptures from the sea. Pancha Rathas (five Chariots) - These are the enchanting monolithic pyramidal structures, which derived their names from the Pandavas (Arjun, Bhima, Yudhishtra, Nakula and Sahadeva) and Draupadi. These structures are unique, as each of them has been carved out of a single piece of stone. Summer Max. 36.6°C Min 21.1°C, Winter Max. 30.5°C Min 19.8°C. By Air: Chennai Airport is the nearest airport, located at a distance of 60 km from Mahabalipuram. Regular flights connect Mahabalipuram to most of the cities of India. By Rail: Chengalpattu is the nearest railway station located only 29 km from Mahabalipuram. By Road: Mahabalipuram is well connected with the major South Indian destinations such as Chennai, Tirukkalikundram, Kanchipuram and Pondicherry. Taxis are also available from Chennai. A wide variety of accommodation options are available in Mahabalipuram ranging from budget to luxurious hotels. 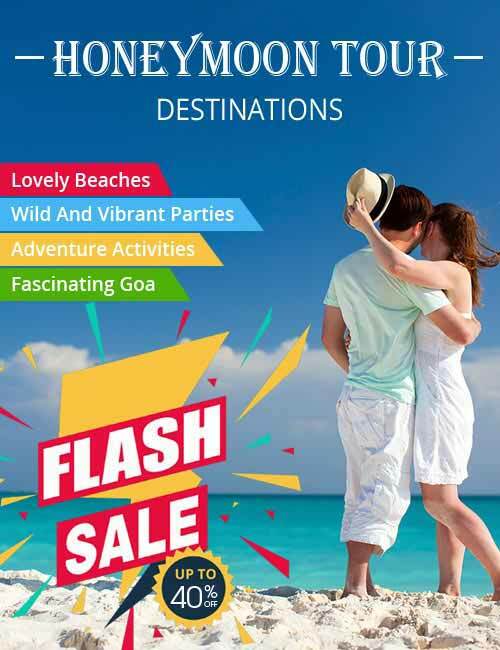 Numerous beach resorts are also available. 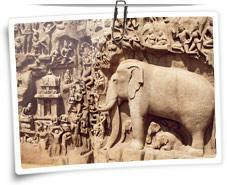 Don't miss the famous stone and wooden sculptures of Mahabalipuram. The craftsmen of Mahabalipuram are perfect in designing beautiful decorative shopping items made of seashells. Visit the main shopping area on Mount Road in Mahabalipuram. Several Government Emporiums are also there.